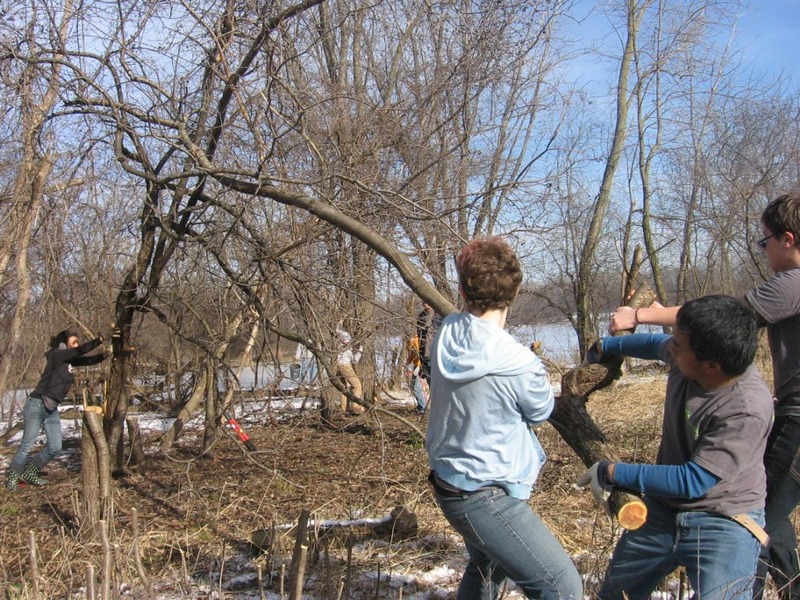 We work on habitat restoration in the Skokie Lagoons, part of the Forest Preserves of Cook County. Our regular workday is the second Saturday of each month; work is canceled only by lightning or heavy downpours. Read the Workday FAQ (above) or write skokielagoons@gmail.com for more information. The Skokie Lagoons is a unit of the Forest Preserves of Cook County. 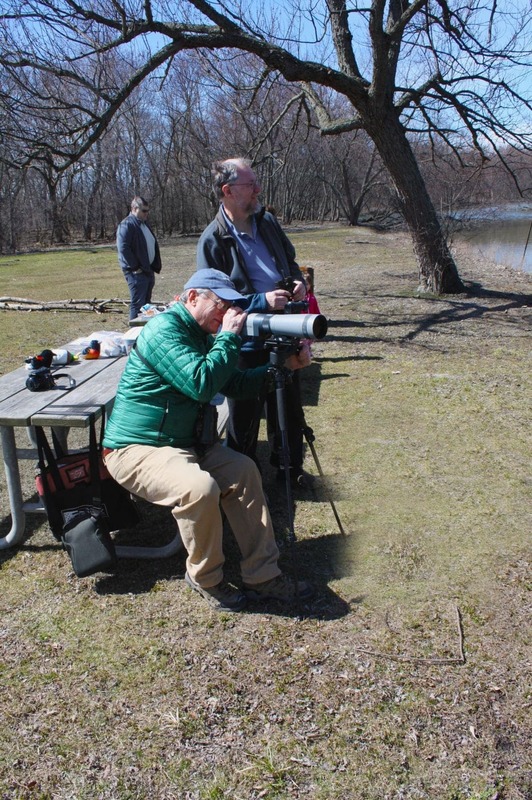 With guidance from Forest Preserve officials, concerned citizens are volunteering their time to remove invasive plants, pick up litter, conduct bird surveys, and otherwise work to protect, preserve, and enhance the Skokie Lagoons area for the benefit of wildlife and humans alike. Currently, most of our work involves removal of two particular invasive plants: European buckthorn (Rhamnus cathartica) and garlic mustard (Alliaria petiolata), We use bow saws and loppers to cut buckthorn, which is a small tree, and we usually pull garlic mustard by hand. We usually burn the cut buckthorn as we cut it. Let me get this straight: you go into the woods, cut down trees, and burn them? How does that help preserve the forest? 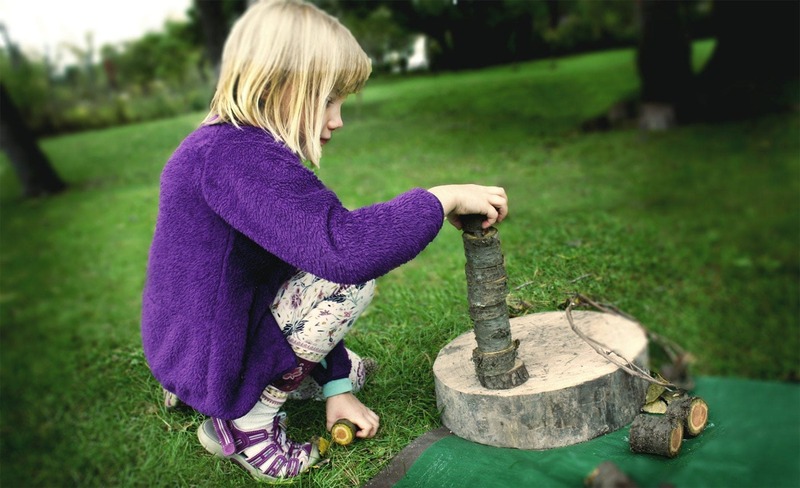 Diversity is the hallmark of a healthy forest or woodland community. Certain plants have become invasive in this region. This typically means that they grow and reproduce so rapidly that they crowd out other species; instead of a healthy, diverse woodland with many species in balance, the invaders create a monocolture in which only one species is present. Many, but not all, invaders are also exotics, meaning that they are not native to the Chicago region and instead were introduced to the area from other parts of the world by humans. Often, the invaders are not eaten by our native animals. By removing the invasive plants, volunteers free up space (and precious sunlight) for a diverse array of native plants to grow, fostering a healthy community. To get involved in one of our regular workdays, all you have to do is show up. We’ll provide tools, gloves, and instruction on identification of invasive plants. E-mail skokielagoons@gmail.com to get on the mailing list for our monthly workdays. Typically, we work on the second Saturday of each month, year-round. Check the FPCC Volunteer Workday Calendar (search for Region 4) for upcoming workdays. If you’d like to bring a group from your youth group, service club, faith community, or other organization, please e-mail us ahead of time so we have enough tools. To get involved in ecological monitoring or other work, e-mail us for details. What should I wear to and bring for a habitat restoration workday? Wear grubby clothes and shoes that you don’t mind getting muddy. We recommend that volunteers avoid wearing synthetic fabrics as outer layers – this means avoid nylon shells and fleece jackets – because embers floating away from the fire can leave ugly scars if they land on those fabrics. An old sweatshirt is a good choice. Closed-toe shoes are a must. Some volunteers like to wear rubber boots, especially after a rain. Dress in layers, especially for winter workdays. You’ll probably work up a sweat. We provide tools, work gloves, and a snack. Bring a water bottle. E-mail us if you have any specific questions about workday conditions. Usually along the north side of Tower Road, across the street from the bike trail parking lot – the red pushpin on the map below. However, sometimes the workplace changes due to site conditions or special events – the best way to keep up-to-date is to get on our mailing list. If there are changes on the day of the work, they will be posted at the information kiosk, the question mark icon on the map above.